I'm a freelance web designer specialising in all-things WordPress, originally from the UK - but living the digital nomad life. My passion is to build beautiful and creative websites. We all know that a great web site will help expand your market potential and it’s a fact that more and more sales leads take place online than ever before. As a small business owner myself, I know that value for money is a priority. I believe a good website is an investment, rather than a cost. That’s why I have a large focus on encouraging website viewers to become actual customers, and providing a good return on investment for my clients. If you want a web site designed and built to a fixed price then drop me an email and I will get back to you as soon as possible. I look forward to working with you. 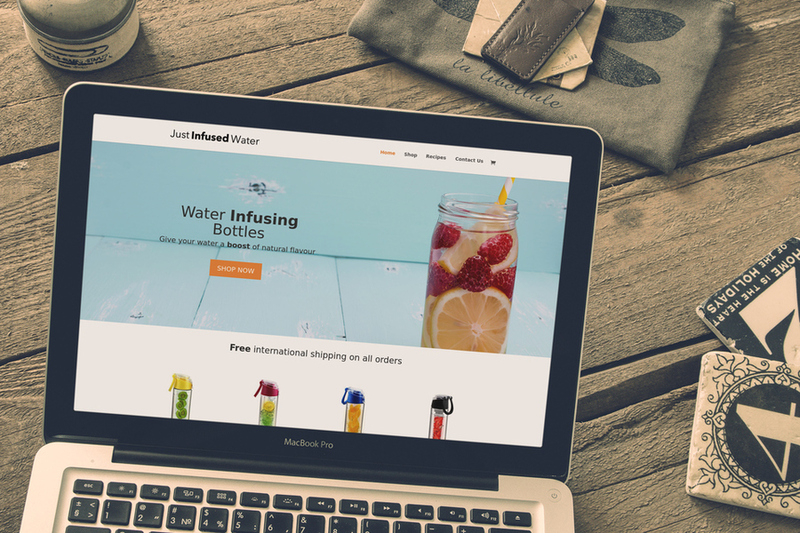 This is a screenshot of my recent design of an ecommerce store for Just Infused Water.